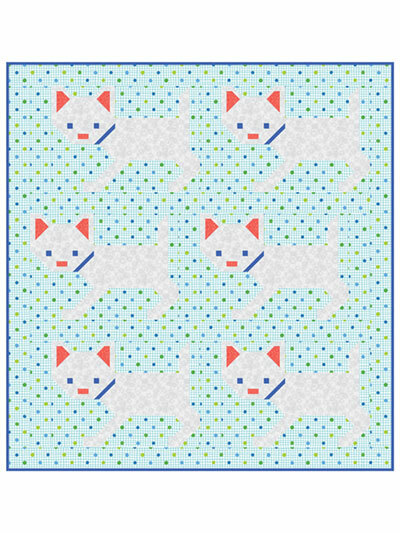 This adorable quilt pattern is the "purrfect" choice for a baby quilt. Do it in pastels or primary colors and the results will be great! 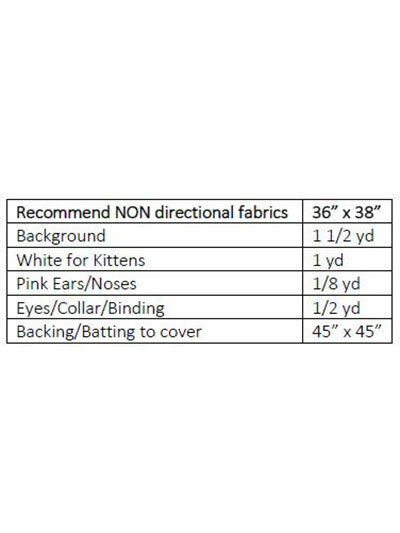 Design uses traditional piecing methods, and step-by-step instructions are provided. Design is not paper pieced. Finished size: 36" x 38".